Protection devices are important part of the electrical supply system. They have evolved from simple microprocessors in 1985 to the advanced numerical relays of the current era. Numerical relays are a focal point of interest on the account that they can be programmed. Protection devices that use numerical protection relays are advantageous on the account that they provide better protection, reliability, troubleshooting and fault information. Over the period of time, electrical engineering has evolved from static studies to dynamic ones. Now there are advancements such as digital signal processor and computational hardware which improves the efficiency of numeral relays in protection of devices. 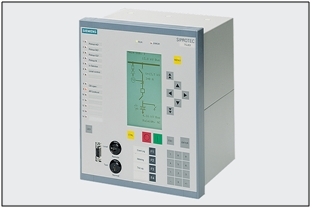 The current power system protection devices present the user with integrated functions. Numeric power system protection devices can multitask on attributes such as protection, control, monitoring and measuring. In addition to this, the communication capability of such relays provides remote control as well as real time data transfer. Now the conventional system of electromechanical and static relays is usually restricted to the single function protection strategy. This shows the tactical prowess of a numeral relay system. 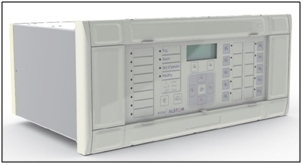 The numerical relay system based protection devices cater to generation, transmission and distribution systems. The multitasking feature was mentioned earlier, and the bonus advantage is that such systems do not occupy large spaces to operate. The relay has the feature of recording of parameter with the help of disturbance recorder flexibility as well as other settings. This means that one relay provides all types of protection. Relay hardware and software, multi protection attributes, dynamic protection attributes data storage and assimilation, instrumentation feature, self-check ability, communication attributes, adaptable and cost effective. For the end user point of view, what are the advantages of numerical relays? In the case of electromechanical relay, there is a need for mechanical comparison devices. This amounts for the bulky size of the relay. Then, there is a need for a flag system for activation confirmation of relay. As opposed to this, the numerical relay relies on one system for all approach and use indication on LCD for relay activation, ensuring less space. An important fact to note is that digital protection can be made physically smaller. This is on the account that it needs less panel wiring than equivalent functions implemented using analog tech. Since the numerical relay system relies on software, customized modifications can be made for getting the desired protection features. This saves you the cost of replacing hardware. One basic problem with electromechanical relays is that because of larger components and mass interconnection, component non reliability can be an issue. In the case of numerical relays, fewer interconnections ensure reliability. The range of operation of traditional models is narrow while numerical relays are diverse and evolution adaptable. This property of multitasking is further strengthened on the account that the numerical system can accommodate different types of relay characteristics. Since, it is possible to provide better compatible protection characteristics, the efficiency improves. This is achieved with the memory save feature in the microprocessor. Among the most significant advantages of a numerical relays is its ability to cater to digital communication. An interface is added which brings microprocessor based relay property. Substation LAN coupled with fiber optics complete the communication capacity. The property is directly linked to the data history feature of the numerical relay system. Because of data storage systems, the availability of fault data and disturbance record can be made. This helps in finding the nature/magnitude/duration of the fault. It has also been highlighted how the system is flexible. In addition to this, it also has the feature of auto resetting and self-diagnosis. As opposed to numerical relay systems, electromechanical systems do not have the ability to check if normal condition has been attained once activated. The self-diagnose and self-reset features provide less dependence on operating personnel. Apart from the mainstream benefits that have been provided above, there are other ones too. For instance, there is a modular frame in the numerical relay system which allows ease of service. Then the benefit of using microprocessor based relays in the numerical system is that it gives minimum burden on the instrument transformers. The sensitivity of the system is pretty nifty and boasts a high pickup ratio. Based on the information provided above, the end user can clearly see how numerical relay systems would better protect their devices than the conventional ones. The advantageous features highlight why they are a cost effective option. or copy this trackback: http://engineering.electrical-equipment.org/electrical-distribution/importance-of-numerical-protection-relay.html/trackback from your own site. This site is super. I’ve been looking for information on Numerical Protection Relay. Your site will be bookmarked for future reference.